As academics and citizens we gain perspective and insight from the free movement of people and ideas. When that free movement of people and ideas involves engagement with wider society, this combination can become extremely powerful. Due to the time constraints, I didn’t have a chance in the lecture to offer a more detailed explanation of why I believe the free movement of people and ideas is so important. Given the symbolism of today, the day that the UK was scheduled to leave the European Union, it seems particularly apt to make that argument. One of the first projects I worked on when I became a lecturer was called ENSCOT (2003), The European Network of Science Communication Teachers. I gained so much from this opportunity, to work with science communication teachers from five EU countries (Holliman, Trench et al. 2002). One of those academics was Brian Trench. I can’t recall the exact conversation, but I do remember Brian encouraging me to attend a conference run by PCST. That’s the international network for Public Communication of Science and Technology. 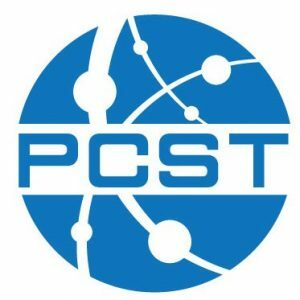 My first PCST Conference was organised by Marina Joubert in Cape Town, South Africa. Much of the focus at that conference was on the sub-Saharan HIV/AIDS pandemic. Practical applications, sensitive to the different subcultural contexts in which they were being deployed, were foregrounded at that conference. It was a humbling experience to see academics and those working in professional practice come together to address this desperate situation. As someone with an academic background in research and teaching, the conference in South Africa changed my outlook on what it means to be an academic. As a direct result, I wrote about the pandemic for the OU Masters module ‘Science and the public’ (Holliman, 2002). The influence of that and subsequent PCST conferences continues. I argue that our role as academics is not just to interpret the world around us. It should also be to improve fairness in knowing. 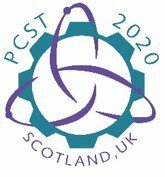 As a member of the PCST Local Organising Committee, I’m delighted therefore to announce that we will re-assemble for the first time ever in the UK in Aberdeen in May 2020. Please come along and share ideas across borders as part of that international conversation. 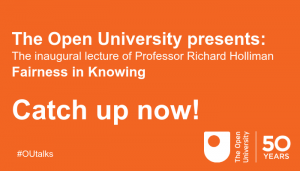 ← Fairness in knowing: How should we engage with the sciences?